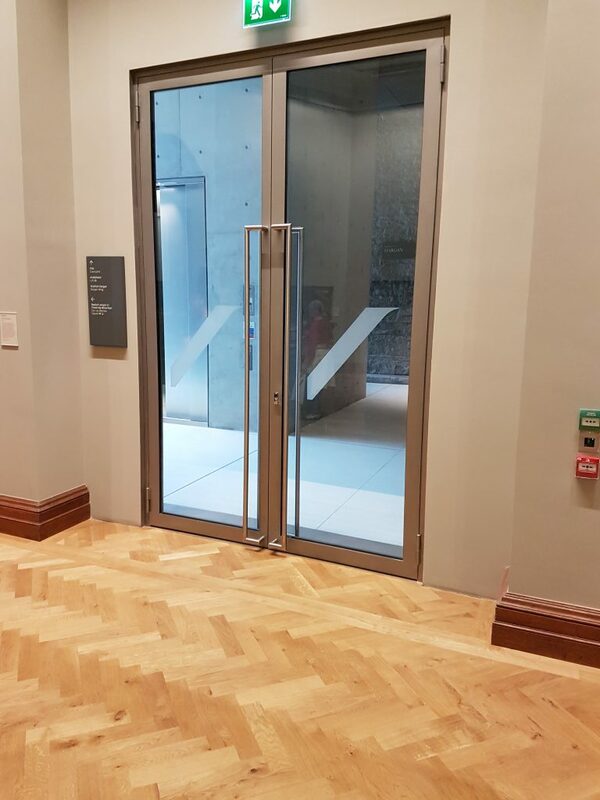 The majority of people will be aware of the huge restoration works that have taken place in recent times on the National Gallery of Ireland – a renowned Irish landmark and home of the national collection of Irish and European art, situated in the centre of Dublin on Merrion Square. When the project originated, we submitted a tender bid for Schüco Jansen Glazing for the project, as specified by Heneghan Peng Architects, and were then successfully awarded the contract by John Paul Construction. 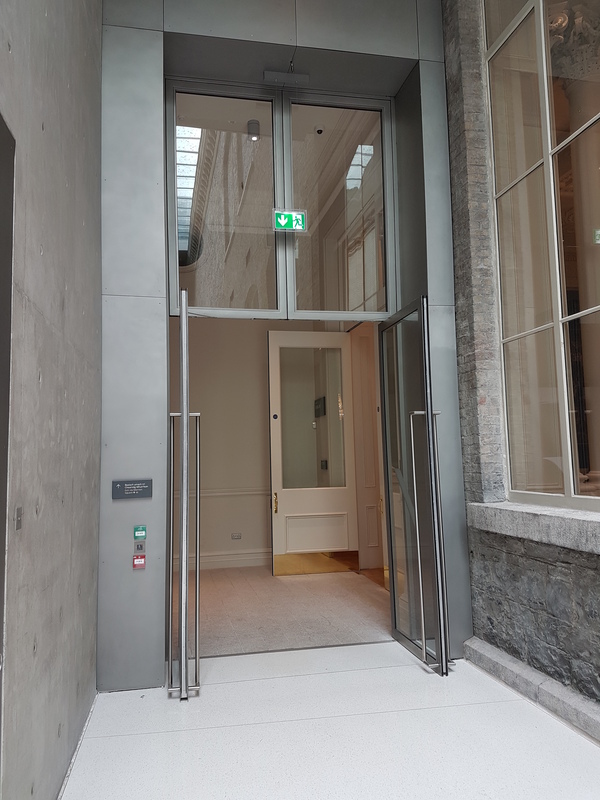 The fenestration requirement consisted of a number of Jansen Shot Peened Stainless Steel doors with screens and oversized fanlights, Schüco Jansen bespoke VISS SG Lift shaft cladding, a bank of frameless glazed doors and an arched front entrance unit which was reinforced with a Janisol Flush metal overclad sliding doorset. 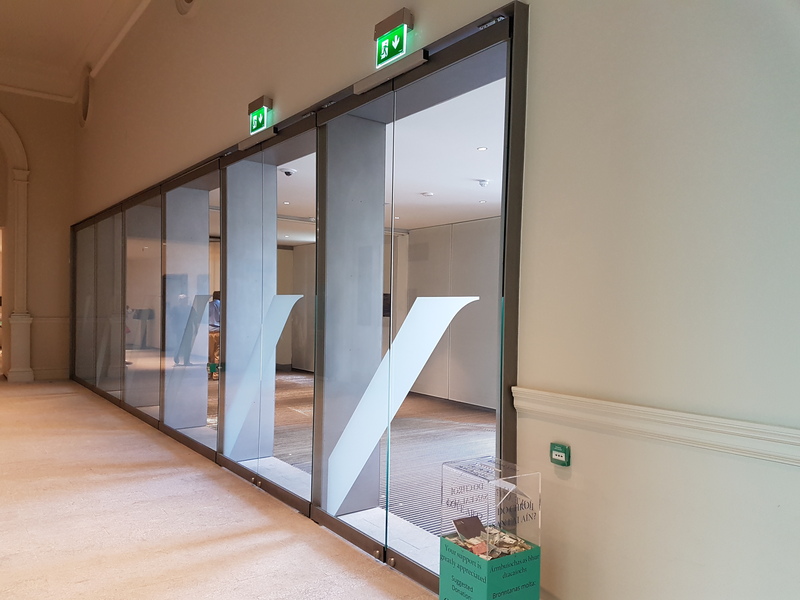 Due to the nature of the building contents, some of the Internal Schüco Jansen Doors and Screens were thermally broken and double glazed, to compliment the climate control system in use. 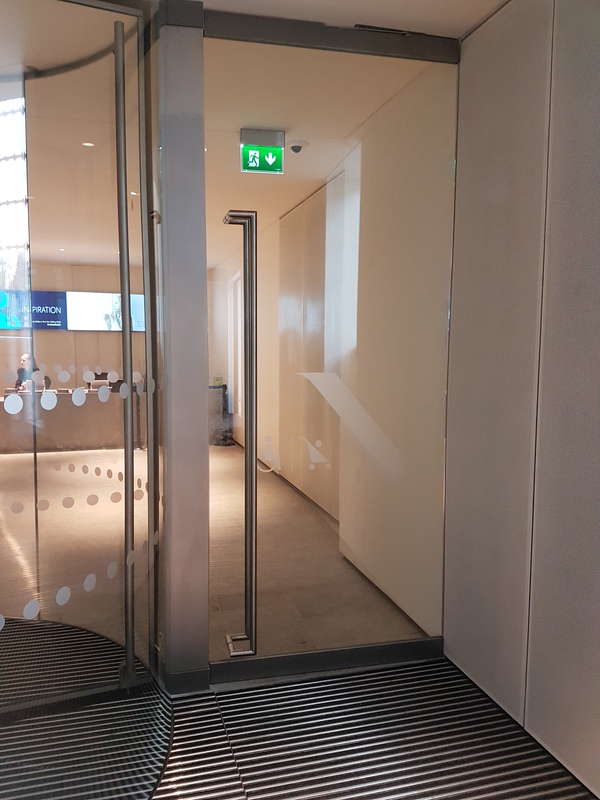 The Key Challenge on the project from KCCs perspective was the provision and installation of bespoke engineered burglar resistance door enhancements to ensure the optimum level of security. 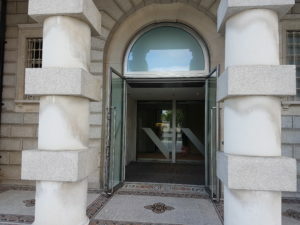 The external door of the arched entrance was also upgraded to burglar resistance level RC3 according to EN1627 by upgrading the glass specification to P7BT and upgrading the door hardware accordingly. On the glazing overcladding on the lift shafts, the Architectural design intent was to show the glass cladding almost floating. We elected to use the VISS SG system, as it most accurately portrayed and mirrored the intended design. 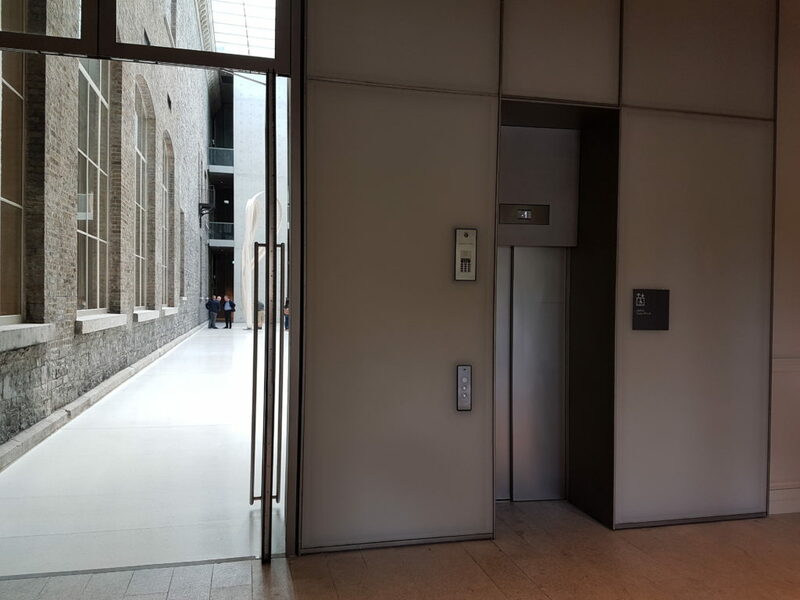 In lieu of the standard VISS SG system details, the design team selected a flat stainless steel bar to be inserted between the glass panes to give the desired effect.